Local residents take to the Ridge on Thursday 16 May to highlight the predicted 26% increase in traffic if the Link Road is built. Angry local residents have already submitted over 130 objections to Seachange Sussex’s planning application for a “Gateway Road” joining the £100m Bexhill-Hastings Link Road to Wrestwood Road in Bexhill. Grounds for the objections – which were gathered in just four hours at a stall held in Devonshire Road last Friday (17 May) and Saturday (18 May) – included “loss of greenfield land”, “increased carbon emissions”, “damages to wildlife habitat”, “loss of amenity areas” and “not fitting in with the character of the area”. Seachange Sussex submitted a planning application  for the so-called “Gateway Road” – a key step in developers’ long-term plans to build a 50,000 m2 “business park”  north east of Bexhill and a massive housing complex north west of Pebsham  – on 30 April 2013. Objections to the application – which can be submitted through http://tinyurl.com/gatewayroadobjections – must be submitted no later than 31 May 2013. 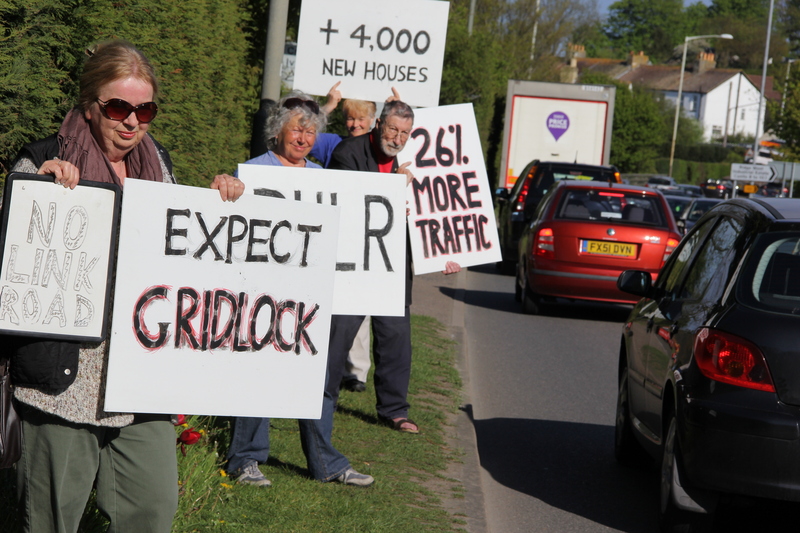 In other news, members and friends of local group Grannies Are in Action (GAIA) took to the Ridge last Thursday (16 May), to highlight the predicted 26% increase in traffic  if the Link Road is built. The Combe Haven Defenders will also be holding a spring walk in the Combe Haven valley this Sunday (26 May): meet 2pm, Crowhurst recreation ground. « Contact your county councillor!